The images are familiar, though stark. In Madhya Pradesh and Uttar Pradesh, police have been deployed to guard precious pools of water in dry beds of big tanks and rivers. Children in Madhya Pradesh’s Umaria district, instead of heading to school, join mothers in hopeless journeys to search for water. It is now a common sight: villages in Madhya Pradesh transport water from far away tubewells to store it in dry dug wells for their use. In Dhar district’s Chandawat village, the only source of water for 800 households has vanished this year. The village used to get water from a pond 5 km away and would store it in a dug well. But that pond has completely dried. “We now fan out to far away villages with bottles to beg for water,” says Hare Singh, a resident of Chandawat. Women in the Marathwada region of Maharashtra trudge up to 9 km, spending almost half a day to collect two buckets of water. In Latur, the town that is in news for water scarcity, Section 144 of the Criminal Procedure Code has been declared around water bodies, prohibiting assembly of more than five people at one place. In north Karnataka, residents leave villages early morning to scavenge water from any possible source, sometimes digging a metre into dry river beds and wait for hours to collect water as it seeps through. And it is just April; the rain is two months away. Recent official estimates say water level in 91 major reservoirs of the country is just at 23 per cent of their capacity. As power stations bring down electricity generation due to water scarcity, city after city faces long power cuts. Amid this gloom, the government thought the word drought was too political. So now the India Meteorological Department will use terms like “deficit monsoon”, leaving the word drought to be used by “others”. Half of India is under the grip of the second consecutive double-digit deficit monsoon, to use the official terminology. The last time the country witnessed such a situation was in 1965-66, when famine-like scenarios were triggered and widespread starvation deaths took place. At present, some 200,000 villages across the country are without water within their respective geographical boundary. Some 60,000 tankers in 10 states, and a train, have been deployed to provide water. Crops spread over 15 million hectares are under threat, while governments promise a drought-relief operation, allocating a miniscule Rs 20,000 crore. Preliminary estimate shows over 330 million people are affected by the current drought spell. But why does the country face a crisis every time it goes through a drought? Officially, drought is a permanent disaster that strikes, on an average, 50 million Indians every year; 33 per cent of the country is chronically drought-affected while close to 68 per cent areas are drought-prone. 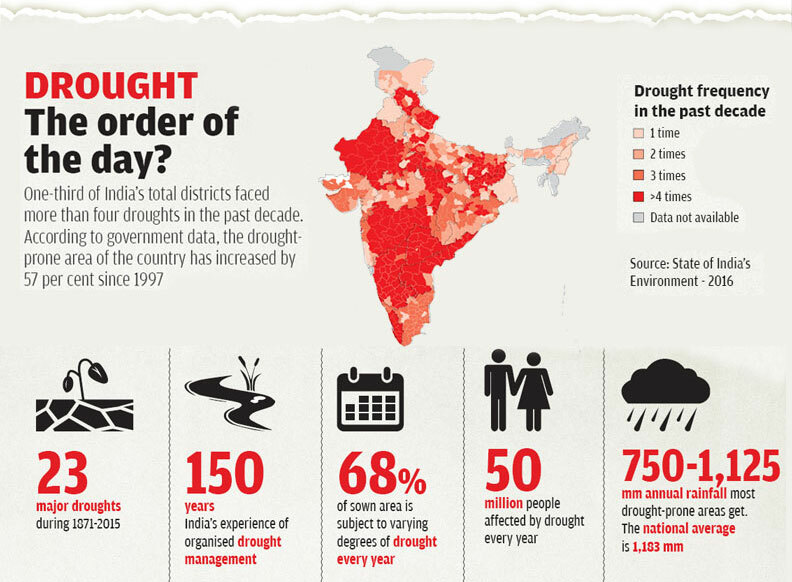 India has more than 150 years of experience in drought management. Despite this, every time the country faces a deficit monsoon, we plunge into a crisis. 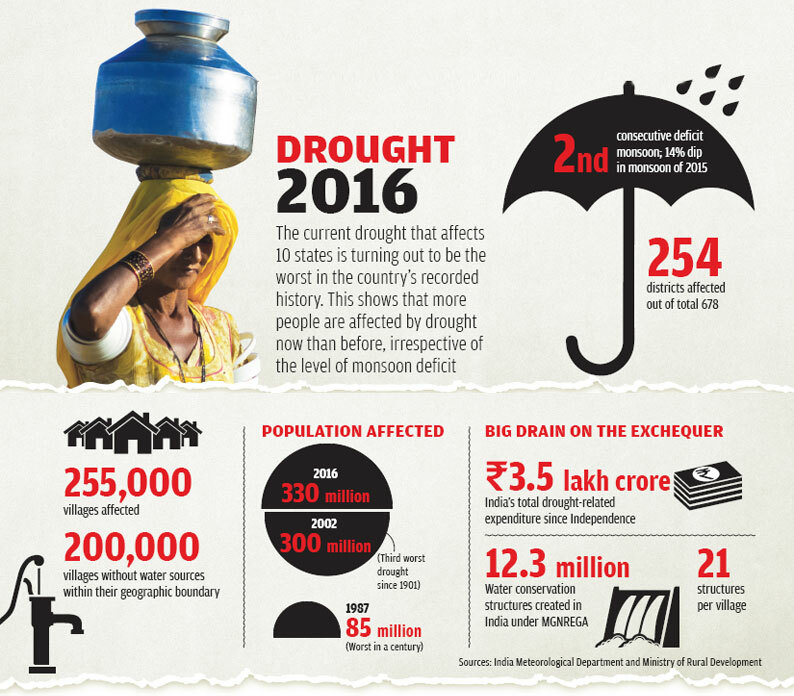 Is the drought of 2015-16 different from other droughts? No. Like previous years, this time too India has just reacted to a situation. Though in all these years our policy has been to drought-proof the country instead of just embarking on drought relief operations. Since the 1965-66 drought, it has been an official policy to prepare villages to fight drought by investing in works related to soil and moisture management. As they say, drought is a disaster one can see coming. Deficit monsoon creates situations for a drought. But it is not deficit monsoon, rather the lack of policies and mechanisms to drought-proof susceptible areas that turn the situation into a crisis. Arguably, the current drought shouldn’t have been so unbearable. In the last six decades we have spent more than Rs 3.5 lakh crore on water conservation and drought-proofing. Particularly, in the last one decade, the Mahatma Gandhi National Rural Employment Guarantee Act (MGNREGA) has helped create, on an average, 21 water bodies in every village. Some 12.3 million water harvesting structures have been built. Sixty-four per cent of the total expenditure under MGNREGA was on agriculture and agriculture-related works. From its inception in 2006 to March 2016 , the government has spent over Rs 3 lakh crore on MGNREGA. Of this, according to an estimate of the DTE-CSE Data Centre, Rs 2,30,000 crore has been spent as wage or money that has gone to people directly. We have a better monsoon forecasting system than we had before and our crisis response management has improved. The drought, therefore, should have been easy to tackle. But still the capacity of rural areas to tackle drought is quite poor. Probably, the ravages of nature the country witnessed in the past five years have something to do with it. In 2009, a severe drought year that crippled more than half of India and impacted 200 million people, the situation was not that bad because the winter monsoon was more than normal and people harvested a bumper rabi crop. This compensated for the loss of kharif crops. But in the past two years, the country has gone through two consecutive double-digit deficit monsoons as well as a below normal winter monsoon. In January-February this year, the rainfall was 57 per cent less than normal—the lowest in five years. Moreover, when it rained, it poured so heavily that the winter crop in the areas already reeling from the second consecutive drought was damaged. In the Bundelkhand region of Uttar Pradesh and Madhya Pradesh, this was the 15th consecutive crop loss. Such situations are going to be the new normal in the face of climate change. A 2006 study by the International Rice Research Institute in the Philippines and the Japan International Research Centre for Agricultural Science, in association with research organisations in Chhattisgarh, Odisha and Jharkhand, shows that drought is a key reason for the poor staying perennially below the poverty line. The study found that in every severe drought year, farmers in Chhattisgarh, Jharkhand and Odisha lose close to US $400 million. It found that in the three states, 13 million people who were above the poverty line slipped below it due to drought-induced income loss. According to “Some aspects of Farming in India”, a 2015 report by the National Sample Survey Office, farmers cited inadequate rainfall and drought as the biggest reasons for crop loss, particularly for the two most harvested crops—wheat and paddy. Farmers, on an average, suffer a loss of Rs 7,363 (one-fifth of their annual income) in paddy due to these reasons. 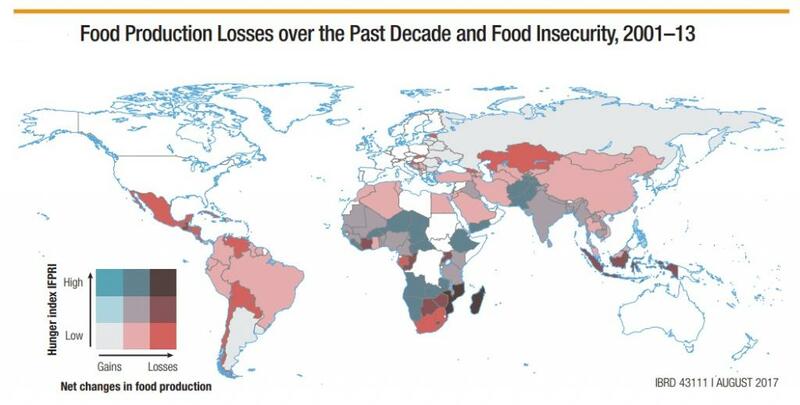 Drought and food security are critically linked. Drought-prone districts account for 42 per cent of the country’s cultivable land. With 68 per cent of India’s net sown areas dependent on rain, rain-fed agriculture plays a key role in the country’s economy. For maintaining food security, even at the current nutritional levels, an additional 100 million tonnes (MT) of food grain needs to be produced by 2020. Realistically, the total contribution of irrigated agriculture to food grain production from both area expansion and yield improvement will contribute a maximum of 64 MT by 2020. The balance 36 MT will have to come from the rain-fed areas or the drought-prone districts. According to estimates, 40 per cent of the additional supply of food grain required to meet the rise in demand has to come from these districts. So, it is not about whether our drought relief operations are effective. 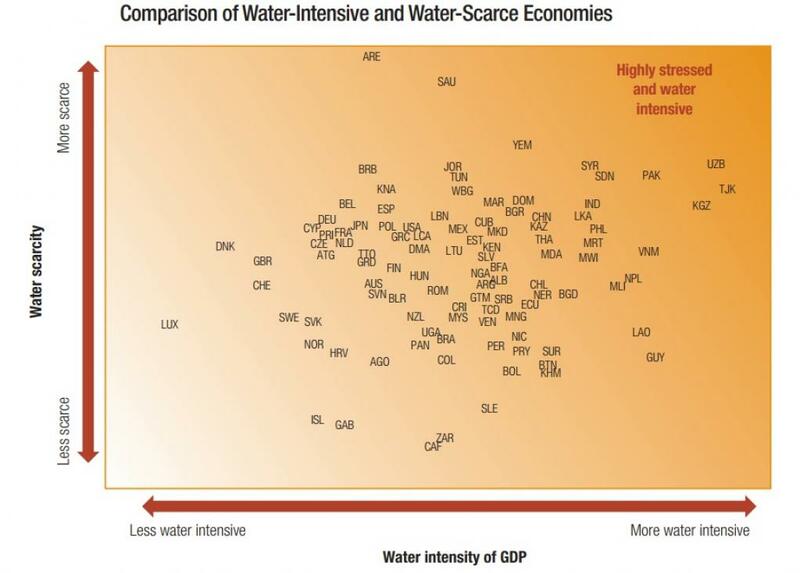 Rather, India can’t afford to have droughts any more. A long-term strategy to make India drought-free is the biggest message of the 2016 crisis. For more than five months, residents of Jabarra village have been foraging the forests for minor forest produce (MFP). The forest in Chhattisgarh’s Dhamtari district is abundant with more than 200 types of forest produce and the district is known as Asia’s biggest trading centre for MFP. The economy of the residents revolves around produce like tendu leaf and mahua flower more than it does around subsistence agriculture. But at a time when agriculture has failed due to a severe drought and the next harvest is still five months away, the forest is their only source of livelihood. Every day, the residents spend almost eight hours in the forest collecting MFP and take stock of how much they have collected in the evenings. The drastic decline in their recent collections has left them overwhelmed. They have enough rice from the government food supply scheme, but that might not be sufficient to ensure wholesome food for all. More importantly, MFP brings precious cash which is needed for weddings, medical emergencies and even buying seeds for sowing paddy. With no MFP and no money, people are staring into an economic abyss. Fifty-year-old Anjura Ram Sori, who belongs to the primitive Paharia tribe, has spent most of his life collecting MFP. “In April, I got the first ominous sign: there were no honey bees in the forest,” he says. This signalled the onset of a dreaded situation called the forest drought. 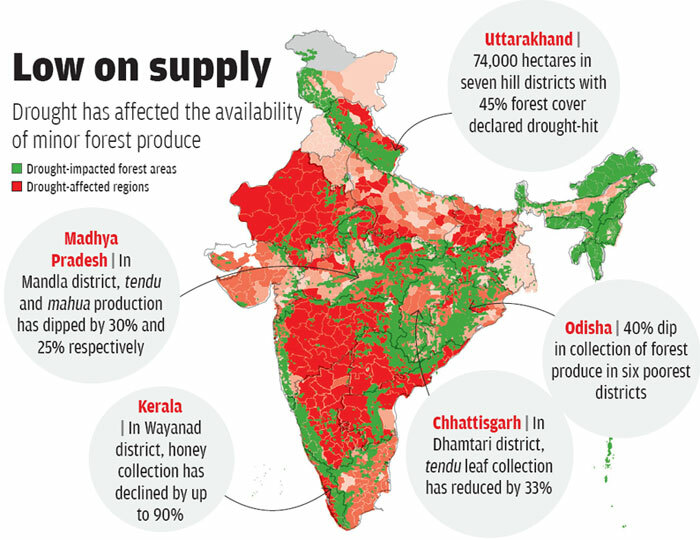 As the country was talking about the worst drought in recent years affecting agriculture in 10 states, forest dwellers were being dealt a double blow: first, the loss of crops and second, the disappearance of forest produce, their crucial buffer economy. People have also failed to collect the lucrative mahua flower and tendu leaf. Erratic weather affected flowering of the mahua during March-May, much like it affects crops in farms. When Down To Earth met Anjura and two other families coming out of the forest in the first week of April, they were carrying only three kilograms of mahua flowers, collected after spending eight days. “Unseasonal rains caused the flowers to drop early. They also caused the kharif crop to fail, due to which the number of people collecting mahua flowers increased,” explains Anjura. At the same time, tendu leaf collection has also dipped in the state: only 21,150 bags of tendu leaves have been collected in Dhamtari against a target of 31,600. One bag consists of 1,000 bundles of the leaf and has a minimum support price of Rs 1,500. 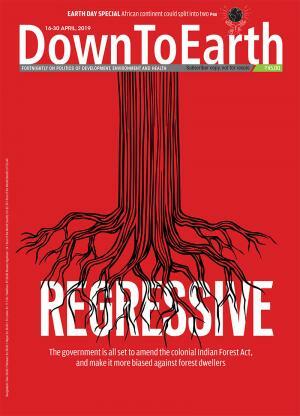 Down To Earth tracked 10 drought-affected states and found that of the 254 districts affected by drought, 100 have significant forest cover and are inhabited by almost 100 million forest dwellers. And they seem to be losing their battle for survival. Annually, MFP worth Rs 6,000 crore is traded in India. MFP contributes up to 40 per cent of the annual income of forest dwellers and is a source of food for 80 per cent of them. It is clear that drought relief has focused entirely on the loss of crops and neglected the impacts on MFP. A recent survey in the six poorest districts of Odisha by non-profit Action Aid India shows that while the drought has wiped out income from agriculture, the dip in collection of MFP has made it worse. “There is a decline of 40 per cent in collection of MFP and this has led to scarcity of food during the rainy season when people collect edible tubers and leafy vegetables for consumption,” says Ghasiram Panda of Action Aid. Migration for work is also not an option as all construction and brick kiln activities halt during the monsoon. In most parts of Nuapada district of Odisha, mahua and char collection has reduced this year. Some families have had to resort to taking private loans at an interest rate of 50 per cent to meet wedding expenses and other social responsibilities. Many other families have had to defer social obligations due to reducing incomes from forests. For instance, they have skipped kuna bera, a ceremony that involves marrying daughters to a mahua tree before they reach puberty. Retired professor and social worker from Nuapada, Fanindam Deo, says a person with 20 mahua trees is better off financially in a drought-prone area than a farmer with two to three hectares of farmland. “But the policy and programmes of the government are paddy-centric, which keeps a large number of people out of drought management plans,” he says. There is no mention of forest droughts in either the Crisis Management Plan for the current drought or the country’s Manual for Drought Management, even though most official committees set up to manage droughts have representation from the forest department. An analysis of the Agriculture Contingency Plan of states and districts shows that even in states with significant forest cover and a high number of forest-dependent people, there is no policy on MFP. According to the director of the National Institute of Disaster Management, Anil K Gupta, droughts experienced in forest areas have a direct impact on the hydrology of the region. “As droughts impact both forest and non-forest areas, there is no separate classification,” he adds, admitting that signs of a drought “first appear in forests”. Former rural development secretary at the Centre, N C Saxena, has stated the urgent need of bringing this source of livelihood into formal drought management plans in his paper on the economy of MFP. “Despite extreme fluctuations in production, the declaration of drought conditions is not linked to low production of MFP, though, in many places, almost half of the forest dwellers’ income is derived from forest produce,” he says. The Uttarakhand forest fire in April this year highlights the severity of drought in forests. Experts say more than the economic losses of forest fires, the country should talk about the ecological changes the forests may have undergone and the impacts on MFP. There is at least some serious research and discussion on the impacts of ecological changes on agriculture. A study by the Indo-Global Social Service Society (IGSSS) states that climate change, marked by long spells of drought and extreme rainfall in different parts of the country, has caused substantial impacts on forest ecosystems. This is causing shifts in vegetation types, phenology and reproductive biology of various trees, shrubs and herbaceous plant species. R K Chaturvedi of Centre for Ecological Sciences at the Indian Institute of Science, Bengaluru, says in a forested area of 69 million hectares (ha), only 8.35 million ha is categorised as very dense forest. Here, climate impacts such as drought or extreme weather are not felt as severely as in other forests. He calls for restoring the diversity of forests. “As of now, more than 20 million ha of forest is monoculture and more than 28.8 million ha is fragmented (open forest) and has low tree density. Low tree density, low biodiversity status as well as higher levels of fragmentation contribute to the vulnerability of these forests,” he adds. In 2011, the Indian Council of Forestry Research and Education (ICFRE) revisited different forest types. The mega study was carried out by 1,800 scientists for more than 18 months. “The study shows that forests in temperate region in the Himalayas, central and western India are turning xeric (devoid of moisture); forest vegetation is getting affected; and drier conditions are prevailing,” says V K Bahuguna, former director of ICFRE who led the survey. He blames the over-exploitation of MFP by people and the lack of foresight among foresters in planning afforestation programmes as reasons for the changes in forest vegetation and biodiversity. The massive exercise has, however, come to naught. The report is gathering dust at ICFRE as successive governments have not taken it seriously. Meanwhile, communities rummage through their forests, hoping to find something that can sustain them in the coming months. These experiences show that India is a victim of its own policy that revolves around drought relief instead of working towards relief from drought in the long run. These villages offer the new commandments for drought management. Why is Karnataka protesting change in definition of drought?